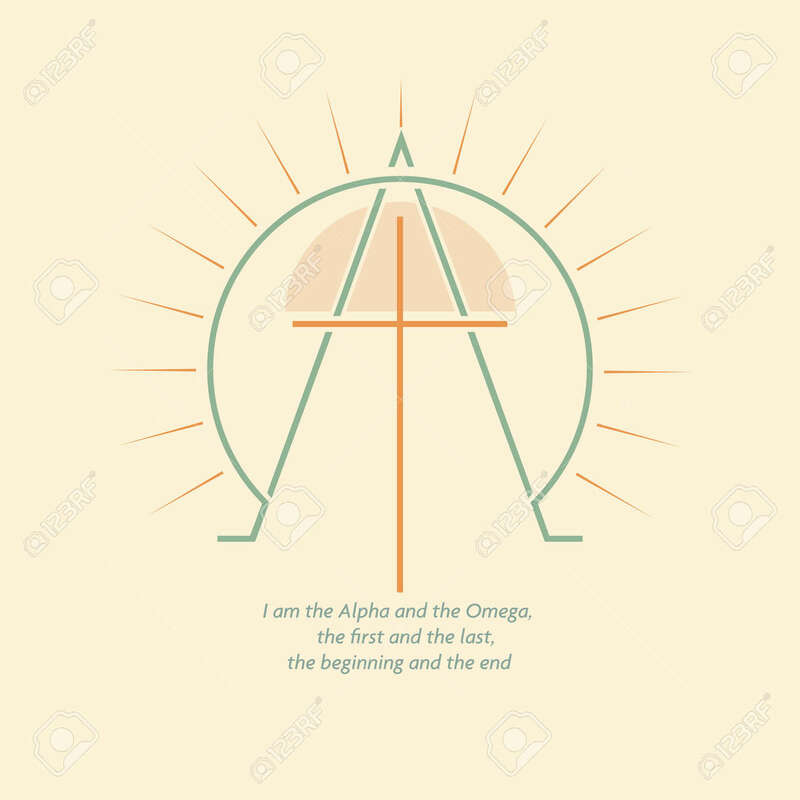 Christian With The Image Of The Cross And The Letters Alpha And Omega. The Has Sun And Rays. The Is Made In A Simple Style. Lizenzfrei Nutzbare Vektorgrafiken, Clip Arts, Illustrationen. Image 106643287. Standard-Bild - Christian with the image of the cross and the letters Alpha and Omega. The has sun and rays. The is made in a simple style. Christian with the image of the cross and the letters Alpha and Omega. The has sun and rays. The is made in a simple style.